This past weekend I had the privilege of visiting the beautiful Hilton Head Island, SC. For the shockingly low price of 85 dollars, I was able to spend 4 days in paradise. That’s not to say I didn’t spend an arm and a leg for food and drinks as well. Long story short, a friend of mine has a family friend that has owned a timeshare for 30 odd years, and this year they couldn’t fill the room. My friend took the room and only paid the maintenance fee which was 600 dollars split between a group of people. It truly is all about who you know! 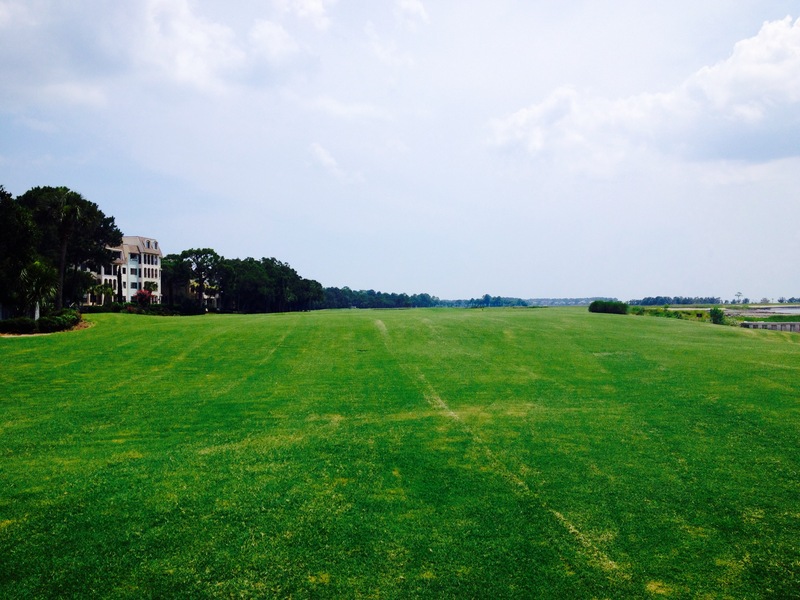 The picture above is the 18th hole of the Harbour Town golf course, a course that is on the PGA tour. If I was able to walk on the green I would have gotten a picture from the opposite side of the hole which would have included the lighthouse. This upcoming weekend I am tagging along with another friend of mine to Charleston for July 4th. I find it really hard to say no to new adventures, if you couldn’t tell.